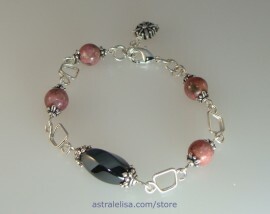 A beautiful combination of the power of Pluto and the soothing effect of Venus: depth in love, protection of the heart, regeneration of the healing powers of love … Rounded rhodonites bring the “morning star” energy, the hematite, a very plutonian stone, is hugged by star caps and the charm of the bracelet represents Venus as depicted in Babylonia to add another Venusian touch. You can benefit from this bracelet’s powerful energies if you have a have a strong influence of Pluto - Venus in your birth chart, if you want to add depth to your loving nature or if you are trying to incorporate some placidity to your passionate disposition. 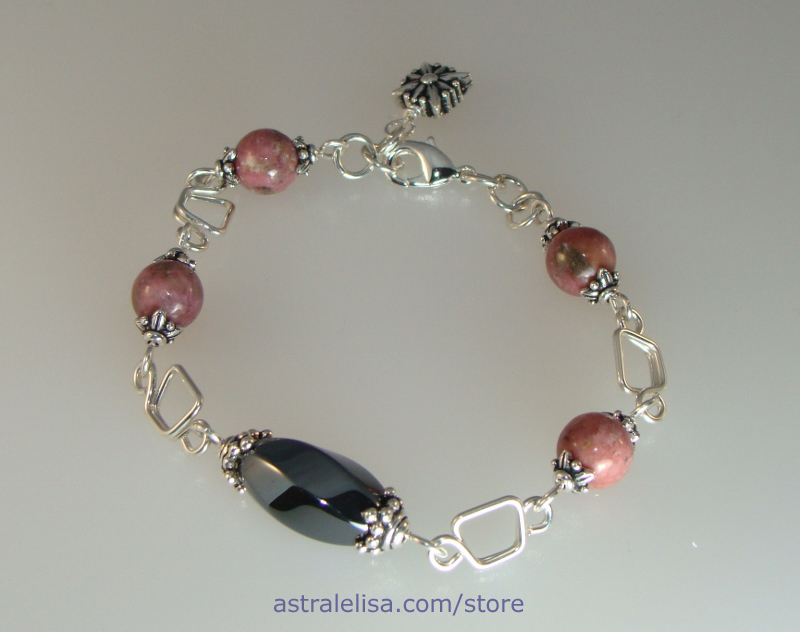 This bracelet combines hematite, rhodonite, 1/10 silver-filled and silver-plated; it fits a 7 1/2-inch wrist but it can be adjusted to a slightly smaller or larger size.